← Why Use The Oxford Comma? 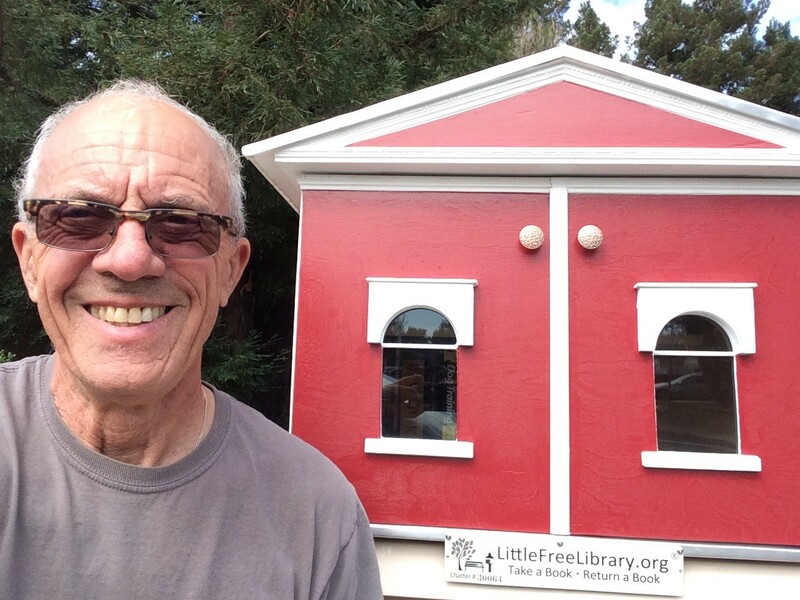 Redwood Writers member, Jack Fender, is the first from our club to build a “Little Free Library” in Sonoma County. He recently completed his project and placed it in front of the home he shares with Pamela, his wife, in Rohnert Park. The way it works is if you wish to take a book, you leave another book. This free sharing of books is all in the interest of promoting literacy. What more could a reader love than a free book? London born, Jack Fender writes short stories and poems. He will be one of the two Featured Readers, along with Lee Gant, at the next Redwood Writers Open Mic, Saturday, October 24th, from 2 to 4 p.m. at Gaia’s Garden restaurant in Santa Rosa, CA. Come on by! The Open Mics are open to all writers and poets. This entry was posted in authors, California Writers Club, reading, Redwood Writers, Sonoma County and tagged books, California Writers Club, reading, Redwood Writers, writers. Bookmark the permalink. So cool to see Jack and his handy work a new “Little Free Library.” I love walking by, stopping to see what books people are taking and leaving. Thanks, Deborah! Yes, isn’t that a darling Little Free Library? I hope we’re able to erect more of those around the county.